With more than 40 years of remodeling experience in the Baltimore, Maryland area, John Heagy RRC offers top-notch kitchen and bath remodeling, kitchen cabinet refacing, replacement windows and doors, commercial remodeling and insurance restoration services. A lifelong construction professional from a family of builders, John Heagy was for 34 years the Vice President of Operations at the legendary Baltimore firm Welsh Remodeling. His experience is both broad and deep, but unlike many in the construction industry, John fully understands the importance of customer service. In building his company, John has assembled a large and diverse team with more than a century of combined experience in home improvement. They bring that experience, and personal attention, to every single project. One particular specialty of John and his team is insurance restoration. For decades, John has overseen the recovery from fire, flood and storms for both residential and commercial clients. His network of contacts and partners in the insurance restoration industry is unrivaled. For a kitchen or bath remodel, kitchen cabinet refacing, addition, windows or doors, or to restore your home after fire, water or storm damage, count on the experienced, local team at John Heagy Remodeling, Restoration and Construction. USA Cabinet Store is a Kitchen and Bath Remodeler offering multiple cabinet lines for all types of projects, including kitchen, bath, office areas, entertainment areas and more. We offer project evaluation, measurements, design, and walk you through your project step by step to create the project of your dreams. Welcome to GraniTech! With more than 15 years of successful experience serving the Washington Metro area, GraniTech provides complete remodeling services from start to finish for just about every room in your home especially kitchen remodeling and Bathroom Remodeling. We love to listen and create artful, functional living spaces. High quality workmanship combined with affordable prices is our motto. Our Company has been serving the greater Northern Virginia area collectively for over twenty-five years. Our quality workmanship has earned us a reputation as one of the region’s premiere contractors. 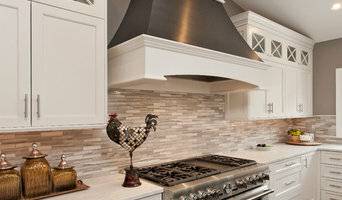 We specialize in all aspect of remodeling such as total home renovations, kitchen and bathroom remodeling. What separates us from the competition is our accountability – we take full ownership of every project that we work on. By handling all design work, building approvals, materials and labor for you. Most of our business comes from satisfied clients, and they often tell us how different we are to work with than other renovation companies. The reason is simple; we stand by our work. At Potomac Kitchen and Bath there is something for everyone. Whether you have traditional or contemporary taste or you are working with a small or large budget, our professional designers will tailor your kitchen to fit your style and your budget in your time frame. We look forward to discussing your remodeling project and making your kitchen and bath dreams comes to a reality! 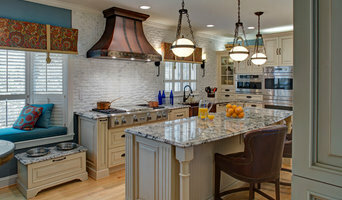 Virginia Kitchen and Bath specializes in every aspect of remodeling. Our experience in the job field assures our customers a great satisfaction. You can count on us for being the one-stop resource for your granite, marble, tile, cabinet or a complete make over of your kitchen and/or bath. With the help of our experienced experts, remodeling will no longer be a hassle for you to handle. Virginia kitchen and bath will guide you through all the steps of the process, answer any questions you may have and help rid you of your needless concerns. Virginia Kitchen & Bath is proud members of NARI (national association of remodeling industry) and NKBA (national kitchen and bath association). 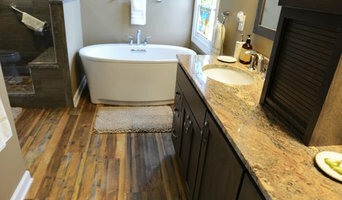 Virginia Kitchen & Bath is insured and licensed (class A ) and bonded. Exclusively at NEKA, you will find the opportunity to choose from one of our stunning luxurious finishes, such as honed, leathered, brushed, sandblasted or flamed. NEKA is one of very few fabricators in the nation, capable of providing these custom finishes to any natural stone slab you may desire, completely avoiding the lead-times involved with outsourcing your material choice in the finish you desire. Simply pick any stone from our inventory and we’ll re-finish the material in the way you desire within 2 days! Thank you for visiting Alexandria Kitchen and Bath, a full-service kitchen and bath remodeling company located in historic Alexandria, Virginia. 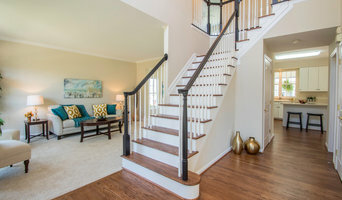 Experienced in the unique requirements of Old Town and the surrounding area’s homes, we offer our customers individualized attention and services to create the kitchen and bath of their dreams. Our professional staff is committed to providing a product of the highest quality and design from the moment you meet with one of our designers to the completion of your project. Together, we will translate your needs into innovative, compelling designs that seamlessly integrate beauty and function. Why Us? It’s simple – our experience, the quality of materials, attention to detail and the commitment to customer satisfaction make us the best choice for your job. At Alexandria Kitchen and Bath, we know you have alternatives, but we are confident that we are your top choice. Our designers will work for you to achieve a beautiful and functional kitchen, bath, mud room, closet, media room, library or family room. The possibilities are endless. As a company based in a 250 year old historic district, we are capable of tackling the most challenging projects. Our experienced designers will provide you with outstanding personal attention throughout the process. Alexandria Kitchen and Bath provides full-service installation. All of our tradesmen are masters in their respective fields. Our long time working relationships with each of these individuals ensure that quality and care of the highest caliber are maintained through the project. The project will run on schedule, in a professional manner and the completed product will exceed the expectations of the most discriminating client. At Alexandria Kitchen and Bath, we are interested in guaranteeing the enduring value of your investment. As a testament to this, we have a significant number of customers coming back for additional projects or referring their friends and neighbors to us. Let us help you create a space that is uniquely yours, done right. Safa Interiors was established in 1980 and continues to serve as your local family-owned and operated general contractor and remodeler. Our mission is to fully understand each clients’ needs, wants, and budget for the interior of their home so that we can deliver them quality materials and thorough installation. We offer a 5,000 square foot showroom where clients can come select their materials that come direct from the industry’s manufacturers, including Mohawk Industries, Mirage, Wolf, Homecrest, Kemper, Decora, Soft-Lite, Santec, Allora, and more. Safa Interiors works with you in mind. We want to ensure your Safa Interiors experience is exceptional from start to finish. From complimentary design assistance for everything we sell to certified installation experts and free delivery services, we will take every step to ensure your happiness and satisfaction. Give us a call or visit our showroom today to make your dream home a reality. M.A.K. Remodeling Services is a family owned and operated company that has been proudly serving the Southern Maryland area since 2008. In 2013 we extended our service into Northern Virginia. Our commitment to customer service is unparalleled, with many of our customers becoming like extended family members. Our quality craftsmanship and fair prices make us one of the number one remodeling companies in the area. We specialize in kitchen, bathroom, and basement remodeling, however we can also do whole house renovations, additions, structural repairs, and deck building. Call Us Today to Get Started on the Home of Your Dreams!